However, the journey to becoming a cross-border exporter may seem daunting at first. To help, we’ve compiled a list of 12 tips for successful international expansion. Once you’ve shortlisted your top target markets, use online resources (such as government agencies and departments online information) to check specific export requirements, and adjust your strategy accordingly. Whether you’re using domestic or international services, it’s important to calculate the correct billable weight. There’s no “one size fits all” when it comes to your shipping strategy, but there are features you can introduce that will make everyone happy, such as fast shipping options. Ensure you have all the relevant documents you need before shipping your international orders. For example, commercial invoices, packing lists, shipping notes, a Certificate of Shipment, any certificates of origin or commercial licenses all need to be current and present. Your transportation provider may be able to advise you on how to package your goods correctly, or even provide you with their own range of ready-to-use, self-sealing packaging in a choice of shapes and sizes. Knowing where to get quick answers to your questions can save time and ensure peace of mind. Use free online resources to learn more and do not be afraid to ask your transportation provider any questions you may have. 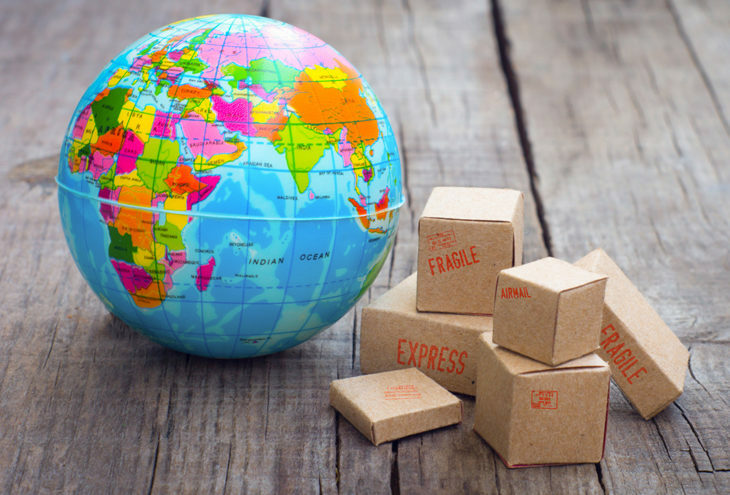 If you think international shipping to countries even further afield could be the next big step for you in growing your business, make sure you’re fully prepared to go global by taking advantage of free online resources, in-depth information, instructions and checklists which are available online. In today’s connected world, achieving success may be much easier than you think!